Don’t just take our word for it! Take a look at what some of the many happy clients of Dr. Eaton have to say about their dental care. "Thank you Dr. Eaton and your staff for your hard work, attention to detail, and first class patient care." "Thanks again for the great work you did on my teeth. To you and your staff the very best!" "You have the softest touch - I barely felt the injection." "I feel totally comfortable with you working in my mouth." "You have the most gentle touch." "Welcome back, Dr. Eaton. It is such a pleasure to have you back in town! I am a former patient and so thankful you're back. She also has great staff. 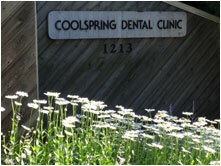 She is at the Coolspring Dental Clinic. Try her, folks. She and the staff are the best!" "Great to see all of you yesterday! Keep doing the awesome job you all do! PS- Loved the squirrels and birds!" "Kim V. told me to tell you she "Really Really" loves her teeth. " "A hundred times thank you- you've given me my smile back!" "You may not remember me, but you helped save my tooth until I got back to Florida. I have since had extensive work done on it. The endodonist said you had done a remarkable job on it. I’m truly grateful for the wonderful job you did to save my tooth. Your touch is a gift from God to you – and all your patients." "You always hear the bad about people and businesses, but never the good. So I’ve decided to let you know how much of a blessing you all have been to our family. You make us feel like you care, and that we’re not just a number." "I'm so glad you convinced me to proceed with treatment... It has changed my life!" "Thank you very much for your service. You have a very good work team. It was the first time that I was not afraid of going to the dentist." "My hygienist was excellent - the best treatment I've had iln a long time." "Your smile, expertise and kindness have so greatly benefited our patients, our staff and our organization. You are a wonderful person to work with and will truly be missed." "I've had many dentists in my lifetime and I must say I think you're the best - I have utmost confidence in your care." No monetary consideration has been given to customers for providing testimonials. Do you have a comment on a recent visit you’d like to share? We’d love to hear from you! We may even post it on our web site! Click here to tell us about it!